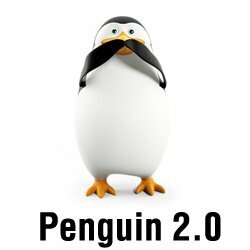 Penguin 2.0 is Officially Live! Watch out! All of you web spammers are in for a treat as Penguin 2.0 hits the web. This Penguin is not like the original that mainly focused on the home pages of websites, this one is meant to go deeper and delve into sites to uncover your dirty little tricks. Web masters have been waiting for a while now since lead spam fighter, Matt Cutts, announced the big update known as Penguin 2.0. Now, officially it has been released late Wednesday afternoon. Cutts says that it is going to have a much larger impact on web spam. The original Penguin was a great step, but didn’t delve much into the sites, leaving a lot of the spam untreated. Web spammers are clever and can work to hide their dirty work better, but now it seems that this is going to be a much harder thing to do for them. It’s kind of like Terminator. You saw the first Terminator and were like “Wow, he’s awesome as heck” and then BAM, Terminator 2 came out and was even more evolved and much more difficult to beat. I mean come on, he regenerated! It’s an odd analogy, but is a good way to think of it I suppose. Penguin 2.0 isn’t here to play around; it’s here for business and people up to no good need to beware of it. The amount of queries that are affected has risen as well to a 2.3% of English-US queries affected. This is much different than the last two small updates that boasted a mere 0.2% or 0.1%. This is just English-US though; other languages with greater volumes of spam will prove to be more greatly affected. This update is also different than the last two in that it is an algorithm update, not just a data refresh, and we all know how important Google’s algorithms are to them. The type of spam mainly targeted by this new Penguin is going to be black hat spam, but would have a larger impact on spam than the previous Penguin and its minute updates. Things to try and boost your rankings the right way would be to add shareable links to all of your social networking sites, which will drive traffic to your site as well as improve your Google rankings. So, since this just hit the shelves, we will just have to wait and see how the days go by and see how much is truly affected by this new Penguin. Is this Penguin going to be as fierce and effective as Cutts foretells or is it going to be a fluke; you decide. Google should garner some positive headlines for this latest marketing data advance in the meantime though!